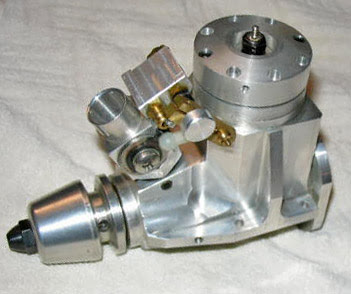 Billet .45 OTB engine by Hall/Geraghty. A Billet .45 outboard engine. David Hall has done all machining and Rod Geraghty has made the fuel injection system for it. 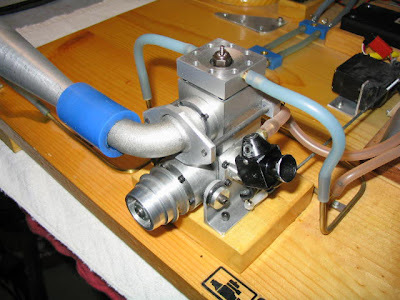 Some more cool engine project pics from Rod Geraghty. 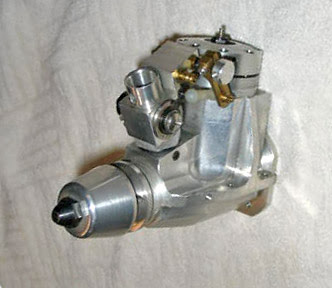 This is a billet Hall/Geraghty .21 engine with the same type of crank-bell induction system as the twin .21 here below. Machine work as usual by David Hall.